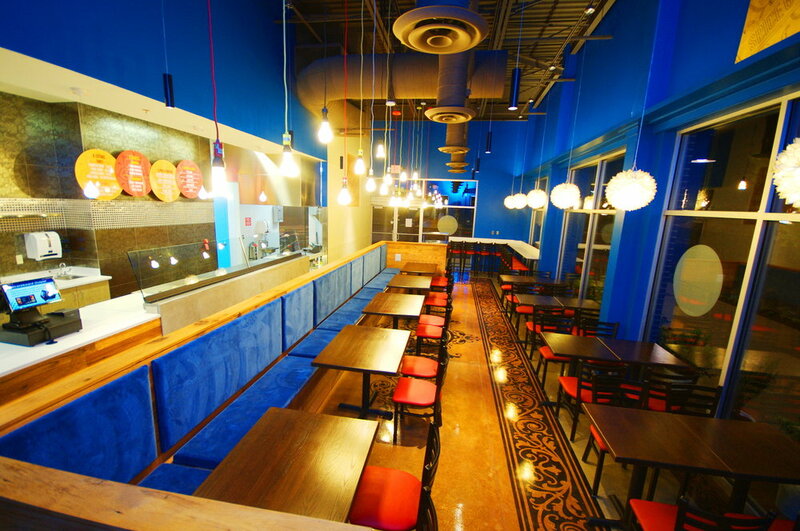 For this project we provided a highly decorative stained and stenciled floor and a pre-cast concrete panel in front of the serving line. The areas to receive the stencil were stained to provide the hued color that ranged from red at the edges to umber towards the center. 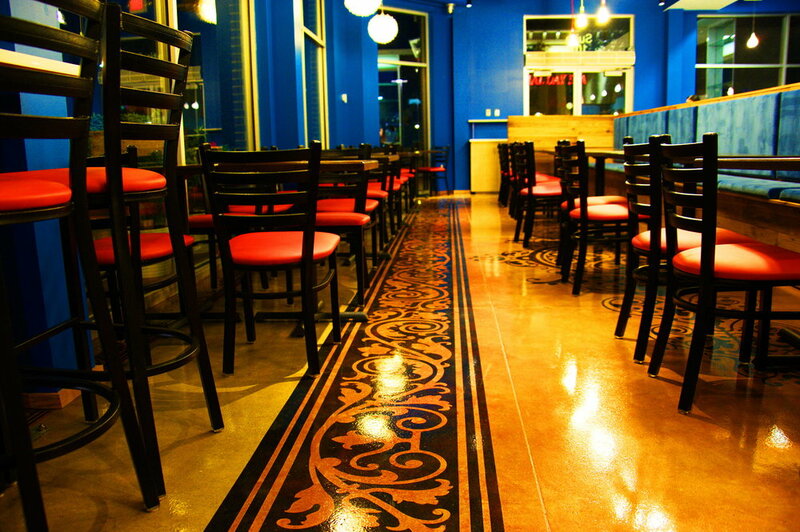 For the intricate pattern, we placed 35’ long custom stencil in the floor. In front of the serving line, we fabricated two six foot long pre-cast concrete pieces that hang from the wall below the sneeze guard. As you can see, the results are unique!